On Christmas day in 2015, the Duchess of Cambridge (Kate Middleton) debuted a dark green wool coat by Sportmax (an “urban, sleek” line by the Max Mara label). She later wore the coat during a visit to Edinburgh in 2016. 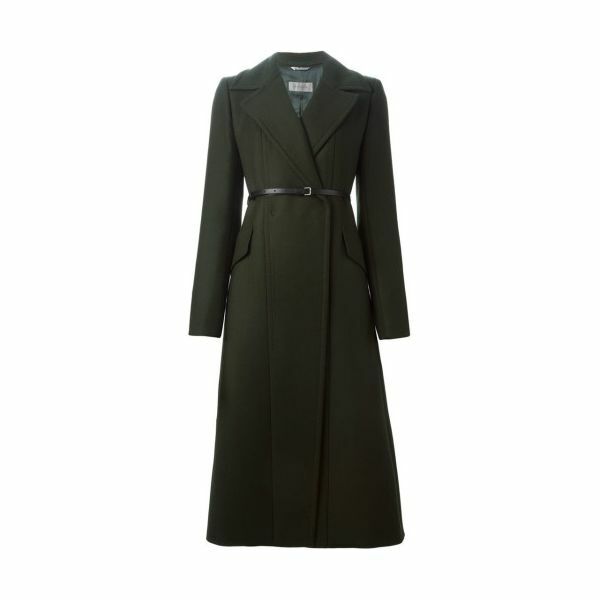 The Sportmax coat was crafted from green virgin wool. It was made in Italy. The coat last retailed at FarFetch.com for £940 (approximately $1,310 USD). The coat is from Sportsmax’s autumn/winter 2015 collection. It’s no longer available for purchase. Kate spends the day in Edinburgh, visiting charities & playing tennis!